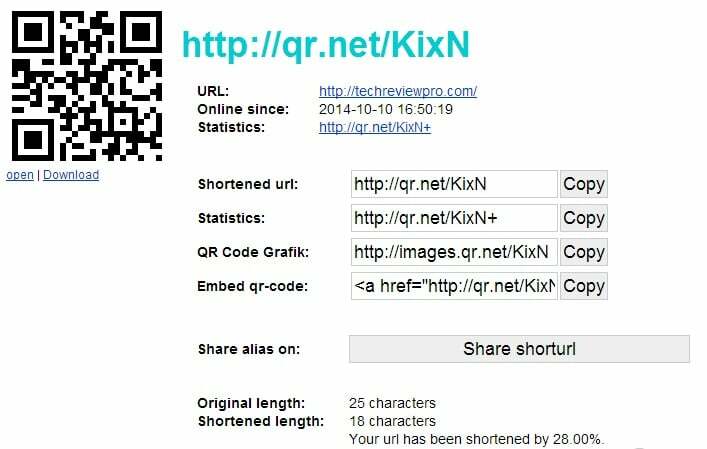 5 Best URL Shortener Sites to Shorten URLs - What and Why ? When Internet Marketers realized the power of Twitter, they started to promote their business on Twitter. Even today, usually we tweet with link to our products or services. Sharing URLs is an effective way of promotion. But one common problem that many Twitter lover face is that only 140 characters are allowed to be tweeted. And generally a large percentage of allowed characters is almost taken by link containing large URLs. So there comes the need of some best URL Shortener Sites to shorten URLs. Though, I have been using some of the best URL Shortener sites to shorten my URLs for quite a few years. And many of them work nicely. Yet I don’t think it is a major demerit of Twitter. In fact, it has increased the creativity of people by challenging them to effectively place their message in as short as just 140 characters. However that is a different topic of discussion. And today, I’m going to share my list of 5 Best URL Shortener Sites to Shorten URLs. But before that let me tell you the advantages and disadvantages of shortening URLs using these best URL Shortener sites. 1. Nothing can be better advantage of shortening URLs than “getting a short URL” itself. A short URL is easy to customize without changing the original permalink structure or link of published URL. As it is short, so obviously it takes less space. So your tweet takes less characters. And is also easily re-tweet-able. Not only for Twitter, but also it is effective way for other means of promotion. Both URLs redirect you to the same place. But number of characters is something that makes difference. 2. Similarly, one more advantage is hiding original link with somewhat different link. This is beneficial specially when you are promoting an affiliate or referral link. The users click on it without even knowing that it is an affiliate link. The only disadvantage I feel is while promotion of your blog. When you post a shorten URL of your blog, your brand name is not visible. This may be a little worrying factor sometimes. https://techreviewpro.com/ – 25 characters and brand name or domain is clearly visible. http://goo.gl/FQ8Jrl – 2o Characters but brand name or domain name is hidden. Though there are many link shortening services available over web. And in recent years there has been a rise in such services. But I’m listing here my 5 Best URL Shortener Sites. The reason why I have placed it above all other is – it deserves to be on top. Though own by Top search engine – Google, it is one of the best URL shortener sites. You can simply place your large URL by copy and paste method. And as soon as you click on Shorten URL, your large URL is shortened within few seconds. However, it is worth notable that you can easily shorten URL using Google URL Shortener without being logged in. But if you wish to keep a history and track of progress of your shortened URL, it is recommended that login before shortening. 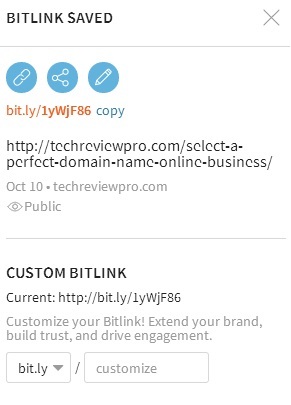 Bit.ly is another such great URL shortener service which I have been using from the very beginning. Though I later started using Goo.gl and since then Goo.gl has remained my favorite. But I can never deny by the fact that Bit.ly is another great name in the list of best URL Shortener sites. The working is quite similar. All you have to do is paste your large URL and hit ENTER. It will automatically make the short URL available before you. Again, you need to have an account with Bit.ly to keep a track back and stats detail of your shorten URLs. 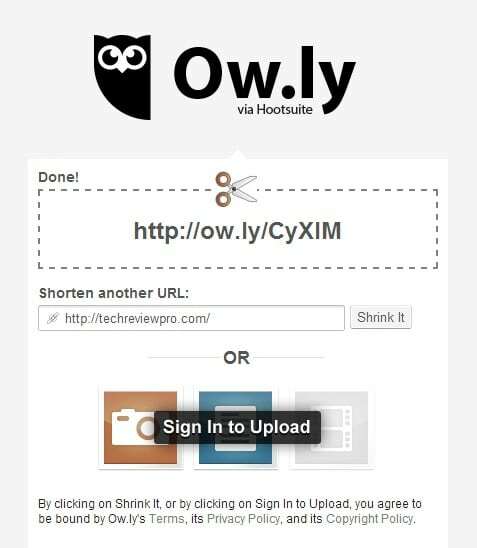 Ow.ly is the official URL shortener service of Hootsuite. Hootsuite is a free platform for professional users to manage and schedule tweets. It can also be accessed by using desktop directly. And you don’t have to primarily have a Hootsuite account in order to shorten URLs. It is one stop solution for professionals who can not waste their time in hunt of short links. However, an account is required to track stats and history of your shortened URLs. You can also login using your Twitter account. 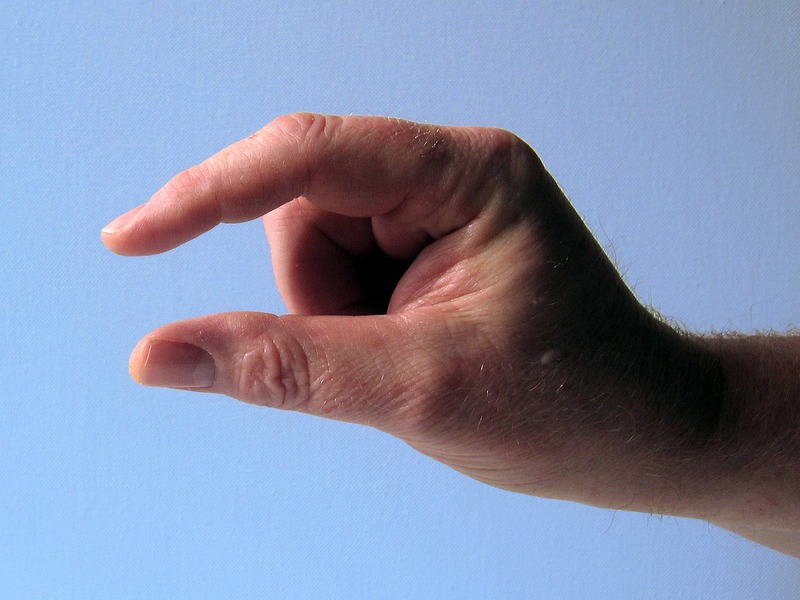 As the name suggests, “Tiny” meaning small – it is again one of the best solution for tiny (small) URLs. The web design is quite traditional and basic. But its basic design makes new users able to get started easily. Working is similar – Paste the long URL and click to shorten it. One disadvantage is of TinyURL is that you can’t track history and stats of shortened URLs. But for quick access you can install toolbar to your browser which I think a feature that somewhat do the compensation. Threely is the shortest of all. And hence one of the best URL Shortener sites. The working is very simple and quite similar to others. Just paste the large URL and click to shorten. And your next page would provide the shortest URL with many details. It also provides QR Code which you or other users can scan to go on your link. Shortening URL before posting is really a great idea. Not only for tweeting but also for other online activities of social promotion, it provides a better user experience. And when sharing affiliate links, short URLs are like lifeline for internet marketers. Because shortened URLs are often seen generating more sales as compared to traditional large affiliate URLs. I hope you enjoyed reading about these 5 best URL Shortener sites to shorten URLs. However, do let me know which are your best URL Shortener sites that you use to get short URLs. 5 Reasons Why You Must Have Images in Blog Posts ? I like goo.gl . It also save the shorten url which you created. I have also wrote similar article on my blog. Yea, Milan you are right but for tracking links and generated clicks etc. you need to be logged in. Really valuable info you shared about shortening URL…….!!! Because many times bloggers wants to share their blog links on twitter or on else websites where text limit barriers resist to share whole URL. Your article share helpful options about to make short URLs with info-graphics….Good work…..!!! I’m glad that the resources could be helpful for you. Thanks for dropping your valuable feedback. Here’s a new one: http://snipac.com. It has a lot of features like link life duration, password protection, Custom Alias, Description, Geotargeting, QR Code and more. Previous: What Lies in The Future of Mobile Technology? – What’s Next in The World of Smartphones?